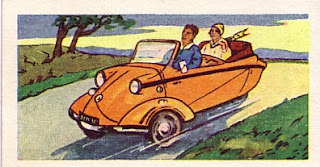 "The 'Roadster' offspring of another famous firm, is the three-wheeled version. It has an air-cooled 191cc engine fitted in the rear, capable of 65 m.p.h. Seats two and one child (small) tandemwise." 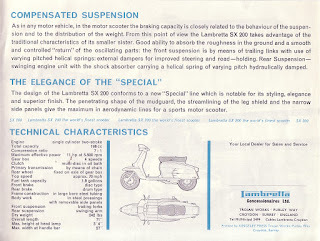 You would think that they were trying to sell microcars rather than scooters, 65mph!! two adults and one child!! Did they ever set eyes on one of these devices? 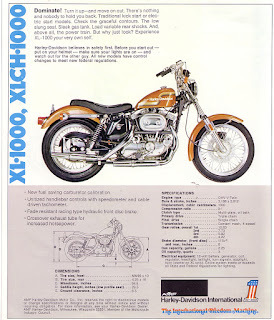 1975 Harley Davidson brochure page 1. 1975 Harley Davidson brochure page 2. 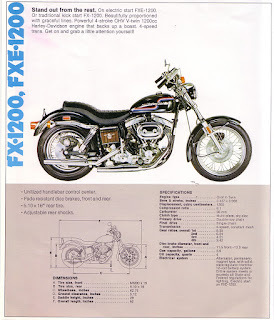 1975 Harley Davidson brochure page 3. 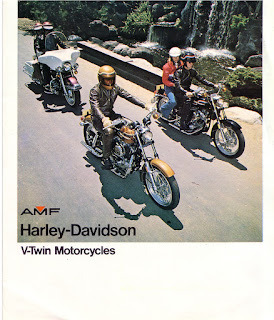 1975 Harley Davidson brochure page 4. Billed rather immodestly by Lambretta themselves as 'the world's finest scooter' the SX 200 was produced from 1966 to 1969. 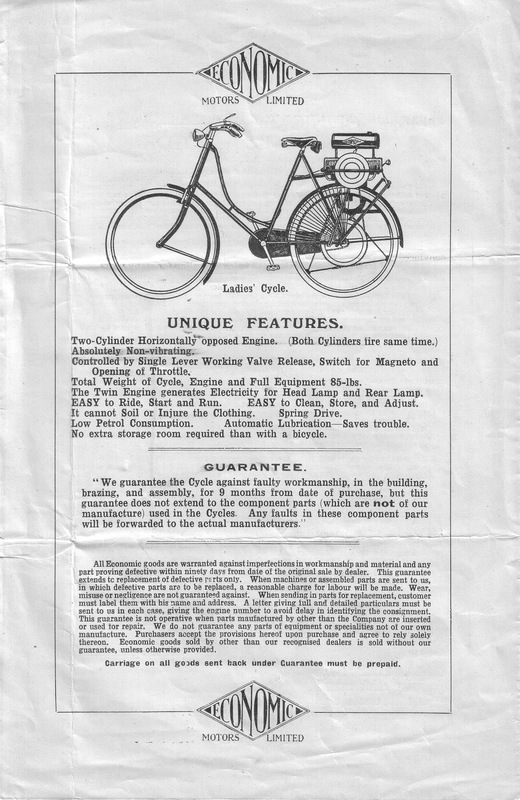 This is the British market brochure. 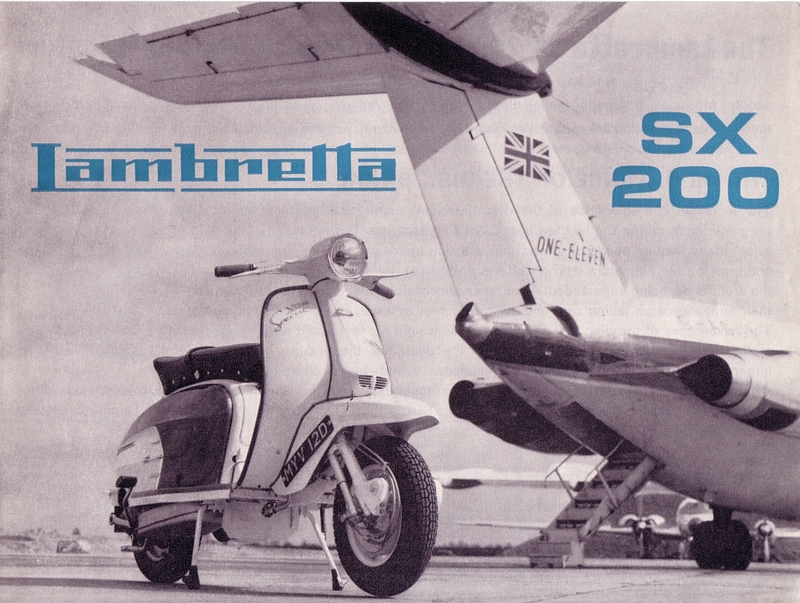 Lambretta SX 200 brochure page 1. 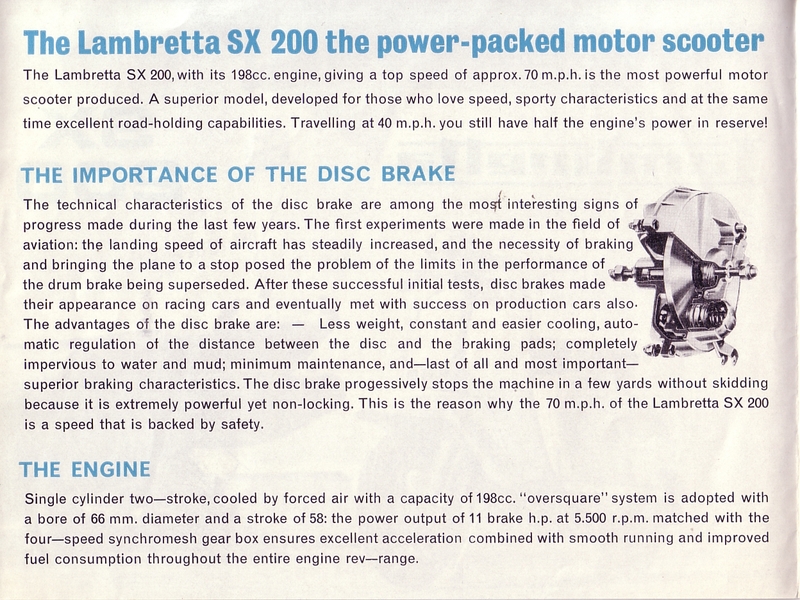 Lambretta SX 200 brochure page 2. 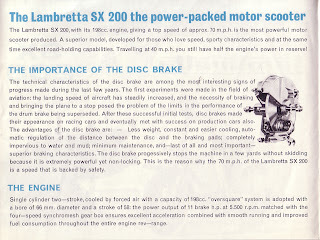 Lambretta SX 200 brochure page 3. 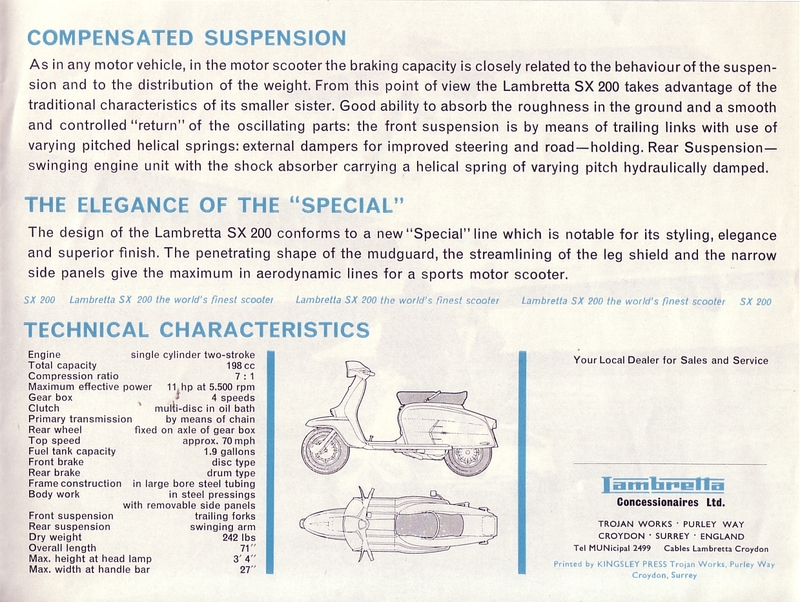 Lambretta SX 200 brochure page 4. Earlier on in the year Geoff Duke had shown the competition the might of the Norton 'Featherbed' frame for the first time. 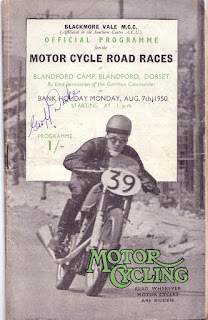 He returned with the Norton works team August 7th to Blandford Camp for the Blackmoor Vale MCC Motor Cycle Road Races. Once again he won the Senior 500cc class. 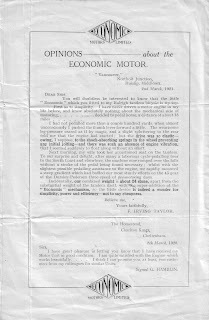 Not such an achievement as back on April 29th as this time the competition was mostly of local club competitors rather than other works teams in an international meeting. 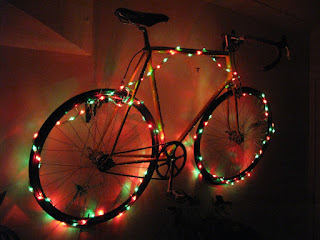 Merry Christmas 2012 to all! 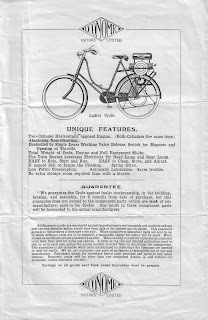 This one's a rarity, the condition of the brochure is slightly poor but it warrants reproduction. I have never heard of a complete survivor though an engine used to be in the Stanford Hall museum. There is some useful information on the NACC website. 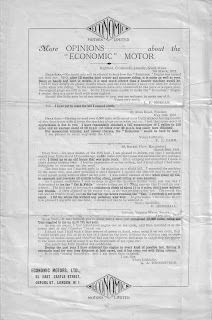 The Economic seems fairly typical of a number of cyclemotors produced in the years immediately following the First World War. What sets it apart is the engine, a flat twin two stroke. 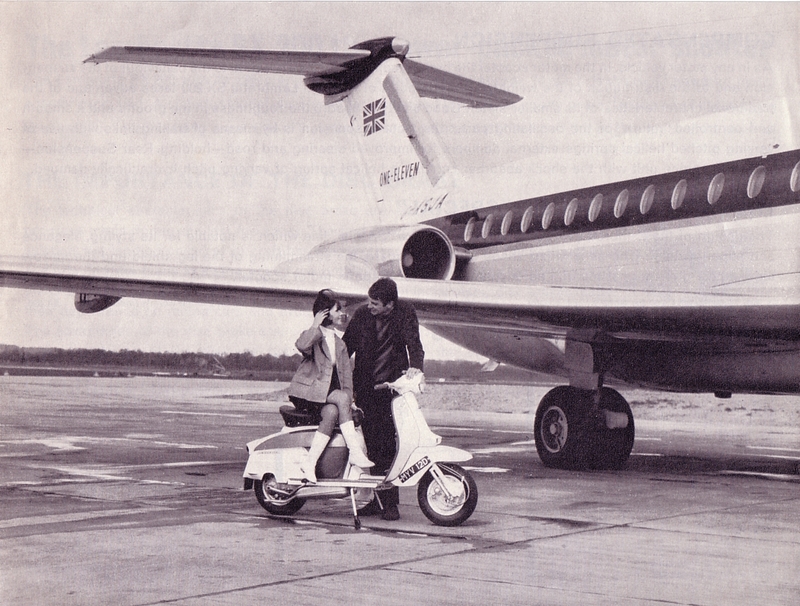 The only other examples I can think of are the East German IFA and the Velocette Viceroy. 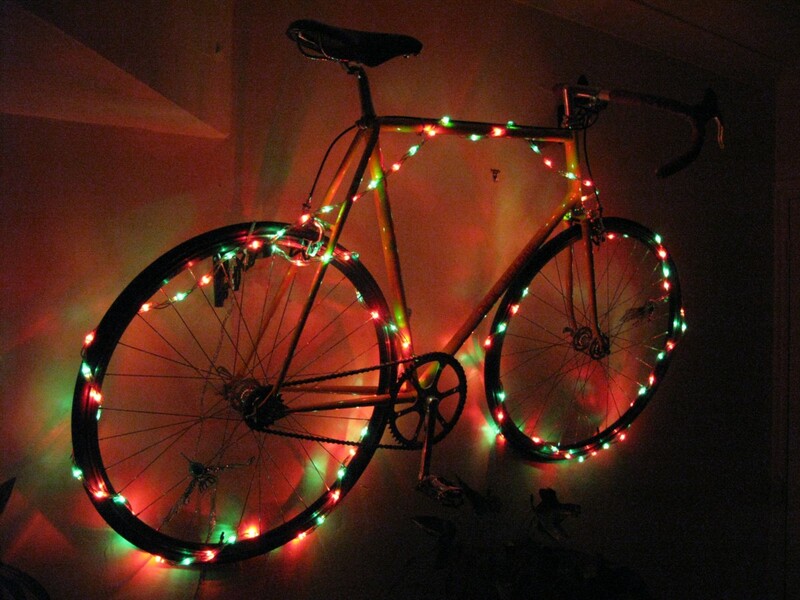 There are a number of advantages to the design, it is inherently smooth, relatively simple, but production costs are significantly higher than a single and with little power advantage. 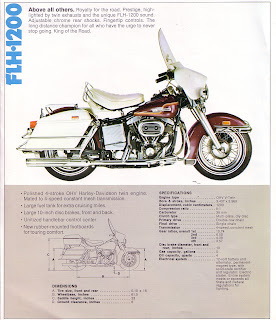 With early two stroke technology the flat twin format probably made a lot more sense with the two cylinders better able to even out erratic firing from hit and miss carburation and oiled up plugs. Although the flat twin two stroke is a more expensive unit than a single perhaps the Economic managed to be produced on the cheap by the use of ex US army surplus motors - the design originated from trench pumps and it is unclear whether or not Economic made their own motors or had merely bought in a batch of army surplus units. 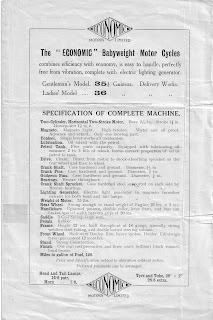 The trench pump was made by Johnson of marine outboard motors fame. 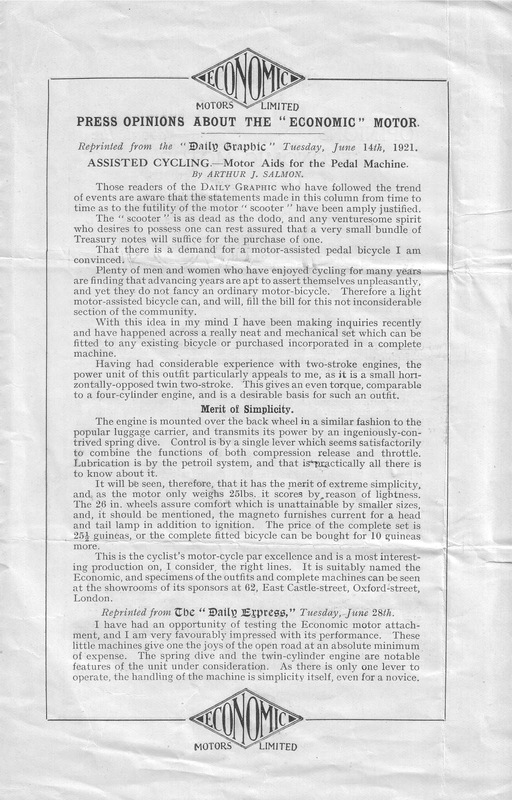 The Economic also seems to differ from competitors in that it was apparently only sold as a complete machine in ladies or gents options rather than as a clip on attachment. 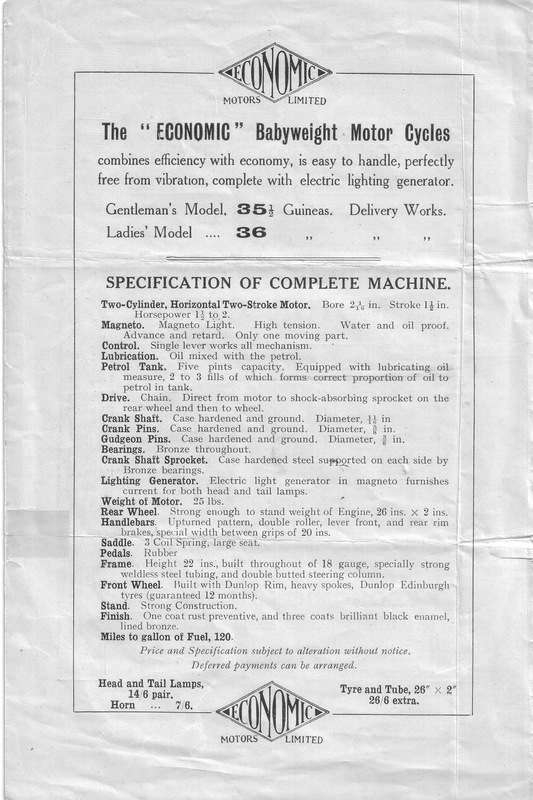 Economic Babyweight Motor Cycle Brochure page 1. 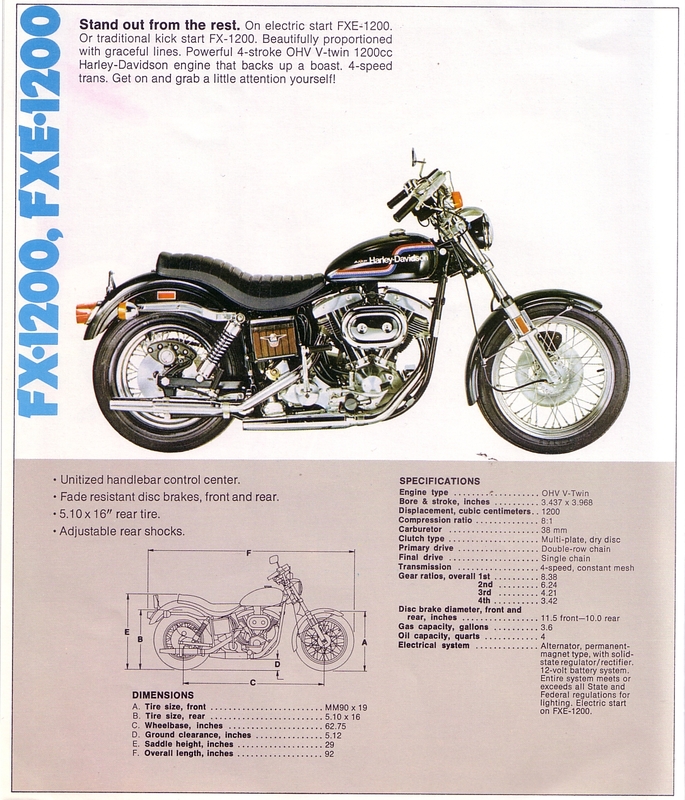 Economic Babyweight Motor Cycle Brochure page 2. 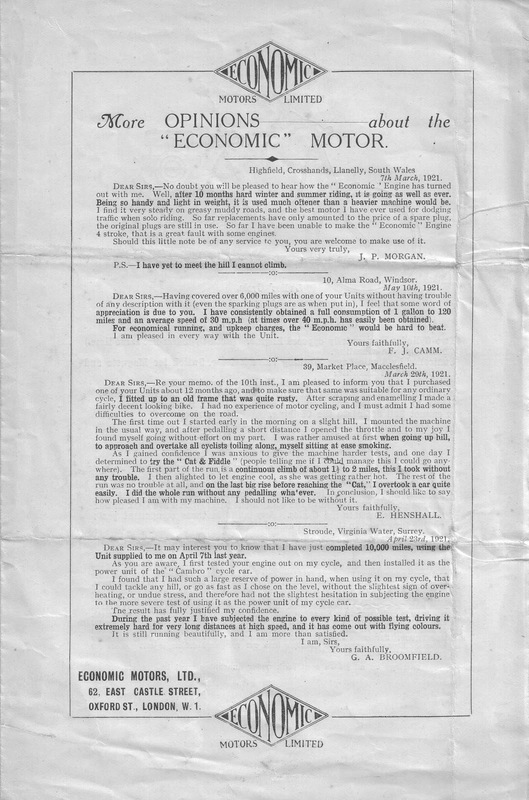 Economic Babyweight Motor Cycle Brochure page 3. 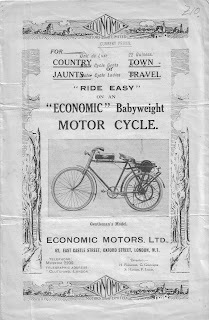 Economic Babyweight Motor Cycle Brochure page 4. 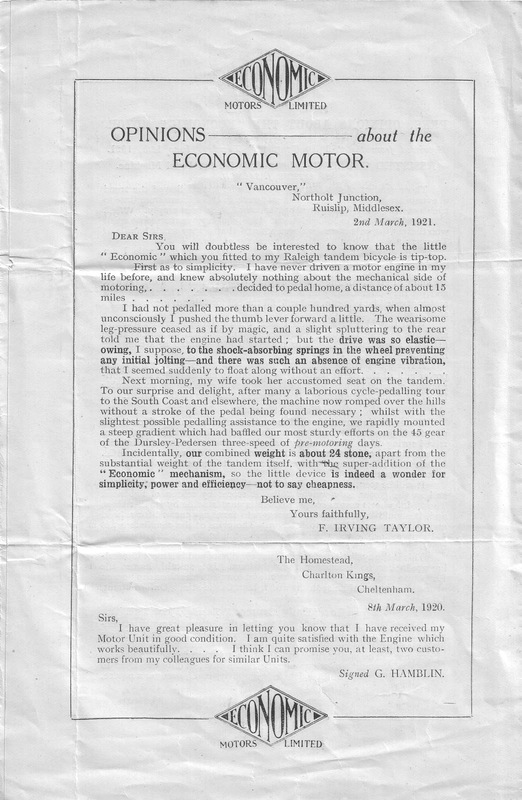 Economic Babyweight Motor Cycle Brochure page 5. 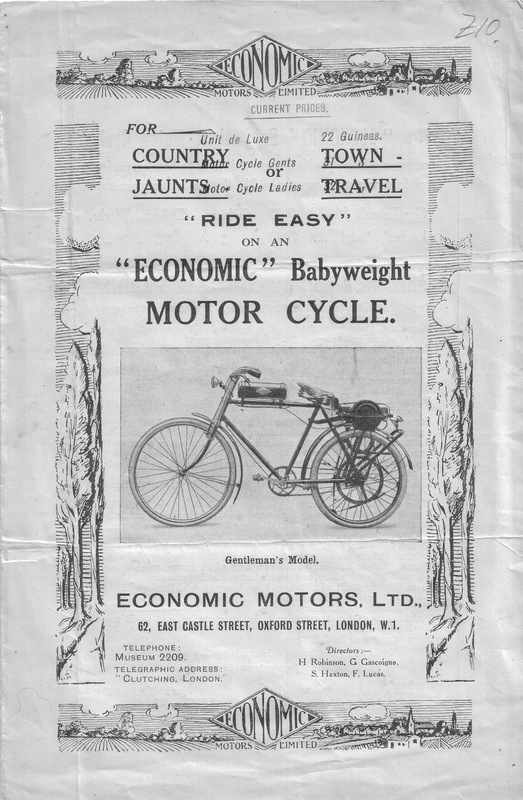 Economic Babyweight Motor Cycle Brochure page 6. 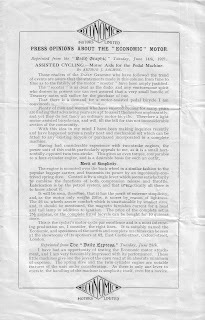 "Mr H Hodson, an enthusiastic Lancashire Motor Cyclist, has such trust in the steadiness and excellent steering qualities of his Rudge Multi, that he has no hesitation in doing stunts at speed. 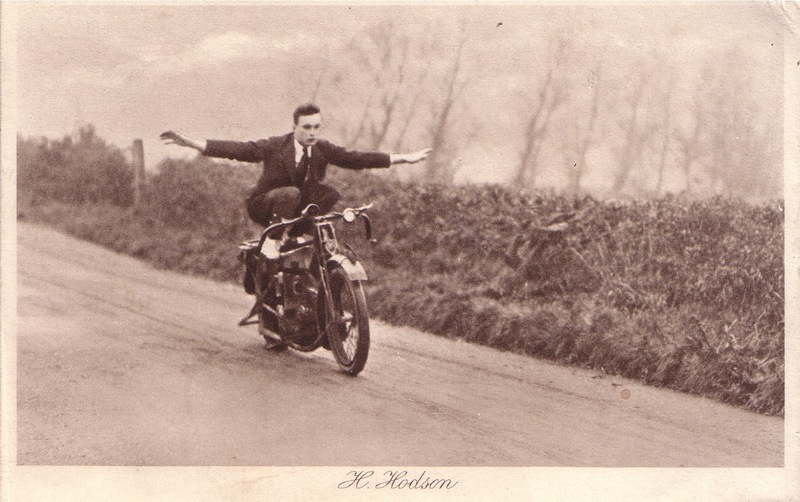 This particular photograph was taken of him whilst travelling at 35mph. He is a keen competition rider."